Hi peeps, I hope all is well? I am kind of happy writing this, even if it wasn’t exactly a stellar performance from Manchester United. The 3 points were vital though and they got it. It is always tough playing Everton at Goodison Park and I get nervous whenever United plays there. And after the 6-1 drubbing by City we needed a win and we needed that win badly. United have however not suffered back to back defeats in the last 31 games they have played. A breather for me, confidence of at least draw took over my mind, lol. The Red Devils have however not won on this ground since a Nemanja Vidic winner in a 1 nil victory in 2007. This definitely proves how tough a nut Everton would be to crack. Toffees as Everton are also called can only boast of 1 win against United in 12 meetings and have only beaten the Red Devils 3 times in 19 premier league games at Goodison Park. Man Utd have won 13 and scored 38 times. In all the Toffees have played United 154 times. United have won 72 games, Everton 52 and they have 29 draws between them. This season Everton have scored 6 of their premier league goals in the last 10 minutes so United should be careful here. 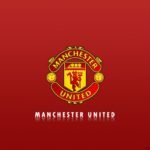 United’s top marksman, Rooney has not scored in the last 4 EPL games, with his last goal coming in against Chelsea in the Red Devil’s 3-1 win in September. Man Utd have dropped 7 points this season, losing to Man City heavily at home and picking up draws at Liverpool and Stoke. United’s last trip to Goodison Park was for me 1 of the best games of last season, with Everton coming back from 3-1 down to level the tie and could have even won if not for the ref (Call us PDP and you will be correct hehehehehehehehehehehehehehehe). Everton is a team I respect so much and to me they have 1 of the league’s most underrated players in Leon Osman (this dude is hardworking and scores vital goals). Everton were without the services of Royston Drenthe due to suspension, Tim Cahill and United’s former son Phil Neville (both injured). David Moyes (Toffees manager) started with Tim Howard, Tony Hibbert, Johnny Hetinga, Phil Jaglieka, Leighton Baines, Jack Rodwell, Maroune Felliani, Diniyar Bilyatedinov, Seamus Coleman, Leon Osman and Louis Saha. I am sure everybody that have something to do with United would be sad to have Johnny Evans back (after his disastrous display against City) except the Gaffer. I wonder why that guy is still a Man Utd player. Rafael was still out though and Ashley Young and Chris Smalling recently picked up injuries. Sir Alex Started with DeGea, Jones, Vidic (thank GOD), Evans, Evra, Fletcher, Cleverly, Park, Welbeck, Rooney and Chicharito. The game kicked off with Everton coming close to scoring in the 1st minute but De Gea was on hand to make a save. Both sides had a chance a piece in the 3rd minute through Park and Felliani for United and Everton respectively but both keepers made saves. United became the dominant side after a while and were rewarded with a goal by Chicharito in the 19th minute. It was a nice cross by Patrice Evra. I was still being critical of the French man before he put in the cross. What a way to shut me up. Everton tried to get a goal back with Osman and Rodwell unable to find the net in the 35th and 36th minute. Everton were unlucky not to have gotten an equaliser when Leighton Baines’ free kick hit the woodwork in the 40th minute. Chicharito could have scored a 2nd in the 45th minute but effort was saved. Saha too had a chance for the Toffees but De Gea saved calmly. Chicharito’s goal was the difference between the two teams in the 1st half. This goal was the 22nd goal between Rooney and Chicharito whenever they have started together. A partnership that works? I definitely think so. The 2nd half started with the two sides sharing the possession equally. Rodwell again would have levelled scores for Everton in the 53rd minute but De Gea made a save. At this juncture I was asking baba GOD to see us through (lol). I noticed all the shots Everton took (except Baines’ free kick in the 1st half) went straight into the arms of De Gea or wide (Osheeeeee Baba GOD o). Cleverly was replaced by Nani in the 57 minute due to injury. Welbeck had a chance to double United’s lead in the 62nd minute but his effort didn’t trouble Howard much. Berbatov came on for goal scorer Chicharito in the 67th minute. Everton kept on searching for an equaliser but were unlucky with shots going wide or being blocked. Sir Alex sents in Valencia for Welbeck in the 73rd minute in a bid to create more chances, but all efforts were not positive. Saha had a chance blocked in the 82nd minute and Rodwell hit the rebound wide. An assistant ref got injured in the 88th minute and guess who’s physio was available to treat him? Man Utd’s of course. I thought Everton was the home team? SMH…. Game ends 1-0 in favour of United. My man of the match on the day was United’s captain Vidic. He was rock solid in defence. 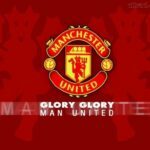 Cleverly, Rooney and Chicharito also put up a fabulous display but I will also give a mention to Everton’s Jack Rodwell.